Russian NGO turns to Supreme Court in dispute with Google over links removal | Russian Legal Information Agency (RAPSI). MOSCOW, March 1 (RAPSI) – The SOVA Center for Information and Analysis has filed an appeal with the Supreme Court seeking to recover the links removed from Google search results under the law on information protection, the court’s documents read. On June 28, 2017, the Moscow Commercial Court dismissed a motion filed by the Center noting that the demands were not substantiated or backed up by documents. On September 12, the Ninth Commercial Court upheld the ruling of a lower court and a court of appeals upheld it once more. 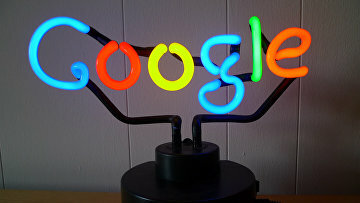 According to SOVA, in March 2016 Google officially informed the Center that the search engine had to delete links to information from its website connected with news dated by 2006, 2008 and 2010. The applicant claims that Google’s action curtails the organization’s right to freedom of information. The Center claims that articles removed from the search contained brief information about xenophobic crimes and crimes against human dignity. It also noted that information was distributed legally and that no one asked the center to remove it. The abovementioned crimes are classified as ones against the fundamentals of the Constitutional system and state security and as such have high social value and can’t be removed without taking interests of society into account, the Center argues. The applicant stated that the law on information protection obliges search engine operator to judge motions on removal of links on its own, basing the decisions on subjective factors while also being limited in ability to confirm validity of information. The SOVA Center is engaged in information and research activities in the realm of problems related to nationalism and xenophobia; social and religious relations; political radicalism; development of liberal values; and human rights protection in Russia. 13:00 01/03/2018 The SOVA Center for Information and Analysis has filed an appeal with the Supreme Court seeking to recover the links removed from Google search results under the law on information protection.